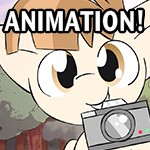 I enjoy making animations, drawing, watching cartoons, and playing games. I'm also on Tumblr, Youtube, Twitter, Soundcloud, RedBubble, and my website here. any tips would be "greatly" appreciated! 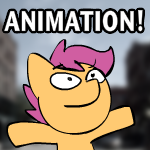 P.S love your smooth-as-heck- animations! Howdy! I've used Flash and TVpaint and they're both good. I am wondering if you use Blender, Maya or anything of the like for 3D models and pretty impressive shadows. I use Blender and AFter Effects for 3d stuff and shadows!